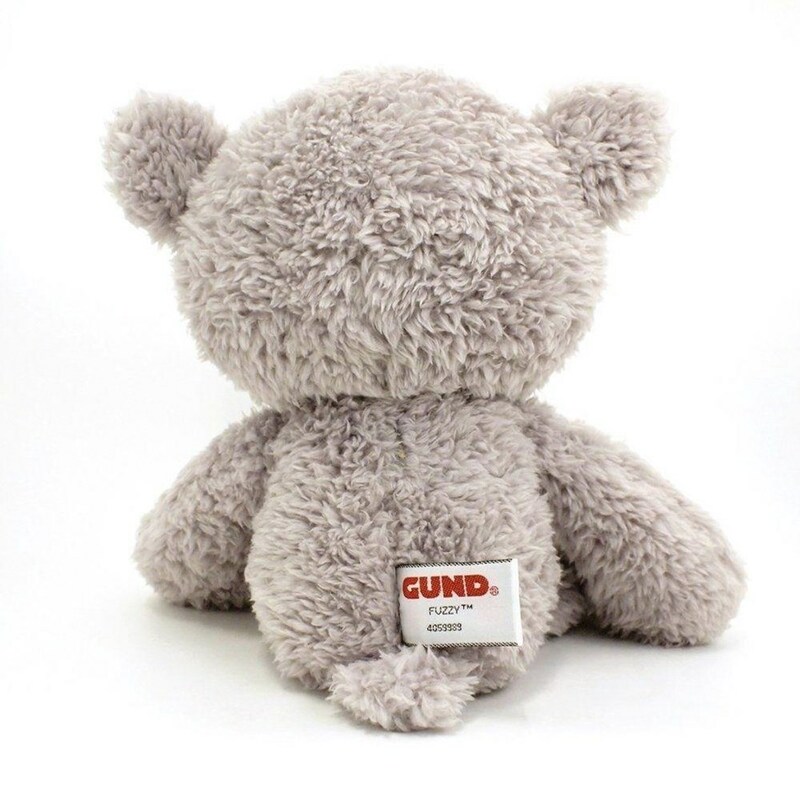 GUND knows there's nothing better than a big ol' bear hug - and this 34cm Fuzzy teddy bear is the perfect size for cuddling! 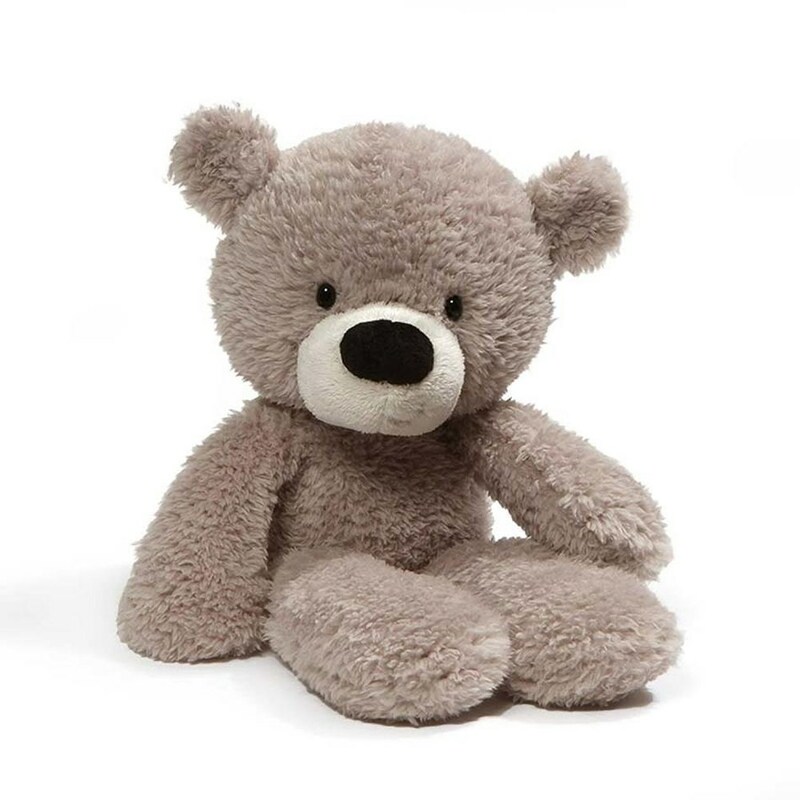 Fuzzy features adorable floppy arms and legs, round ears, and a cute sideways smile. On-trend gender-neutral grey fabric makes him an attractive addition to any fashion forward nursery, playroom or bedroom. Surface-washable for easy cleaning. Ages: 12 months plus.